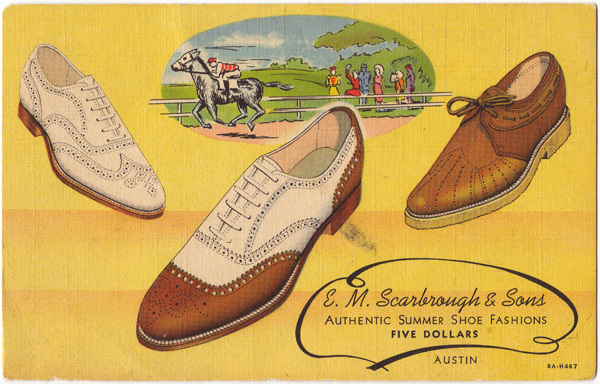 - THREE SELECTIONS from our sports group in the Scarbrough shoe wardrobe for Spring and Summer occasions. In addition to your all white shoes which are a "must" for slightly formal occasions, you need one of these combination shoes, brown and white, or the new crepe sole "slack shoe" in two-tone brown and tan or all white. - We offer an exceptional selection of lasts and sizes. We suggest an early visit while the selection is complete.